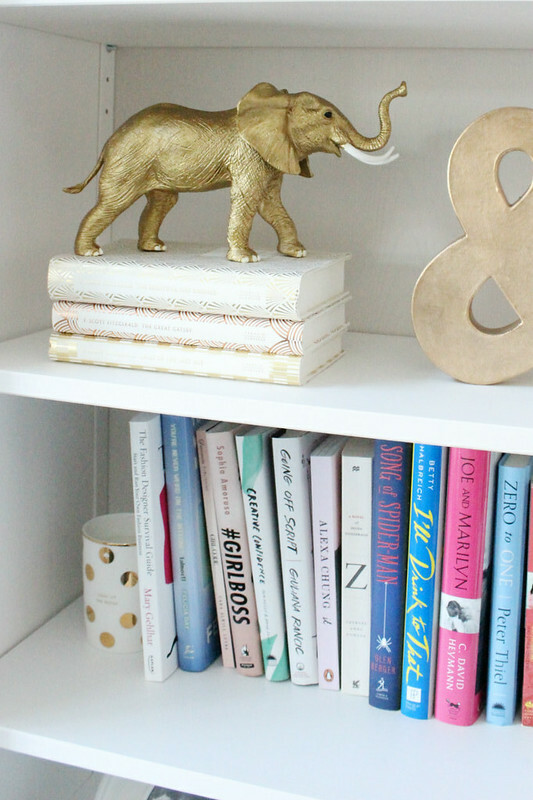 I absolutely love knick knacks for styling bookshelves! 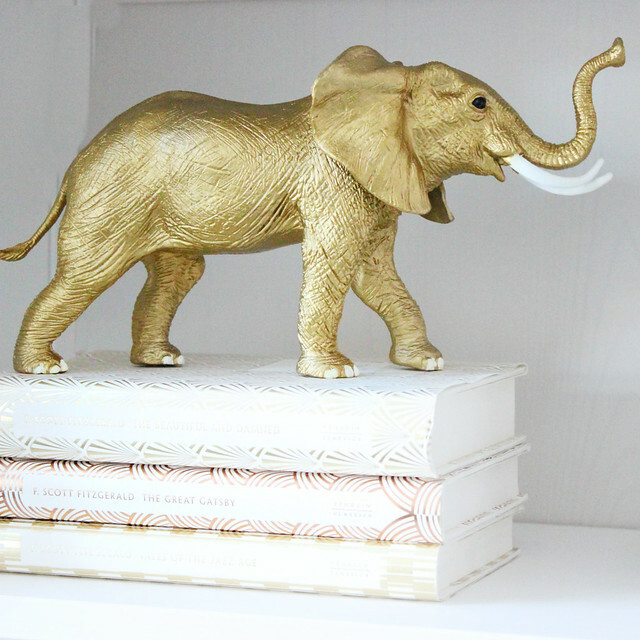 And I must say, I'm absolutely obsessed with my newest addition, this gorgeous gold elephant from DropItModern. It looks to stunning and proud on top of my gold F. Scott Fitzgerald books! The ladies over at Drop It Modern make the cutest party decor and supplies. This elephant is actually designed to be a balloon weight, but I think it is too freaking cute to only bust out for parties. I want it to be proudly displayed on my bookshelf in my living room all the time. 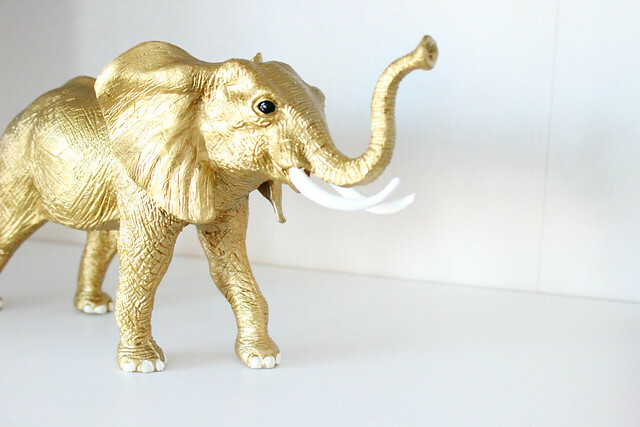 I just love how incredibly chic and expensive the elephant looks. I looks like it came from an incredibly fancy designer store and costs upwards of $50+...but it's only $5!!! Can you believe that? 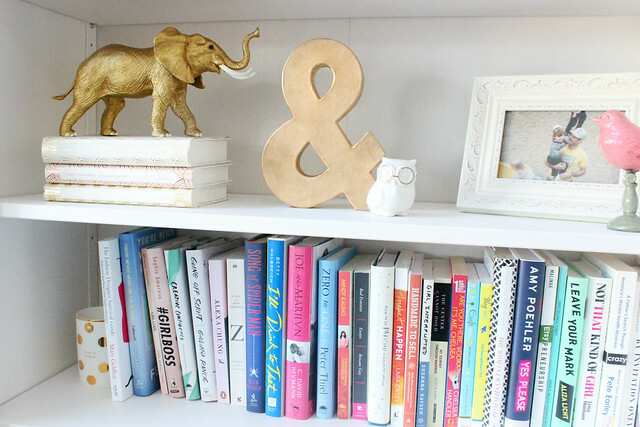 It seriously makes my bookshelf look incredibly chic. So...you know you really want one now, don't you?? Good thing for you, our fabulous friends over at Drop It Modern have offered to give one away to one of our amazing readers! Head over to my Instagram to find out how to win! That is super cute and looks so expensive! I love things like this, they can really transform a room can't they? !